Luz Elena "Nena" Ruiz Chaparro, 51, of 106 Presnell St., Randleman, died Friday, March 22, 2019 at Wake Forest University Baptist Medical Center in Winston Salem. Memorial Services, 4:00 PM, Friday, March 29, 2019, at Loflin Funeral Home Chapel, Ramseur. 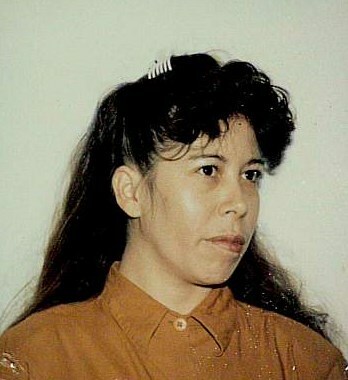 Nena was a native of Chihuahua, Mexico and a resident of Randolph County. She loved to take care of the children of her family, as well as cooking and writing recipes. She enjoyed telling jokes and funny stories because she loved to make people laugh and smile. Nena enjoyed cutting and styling hair for her family and friends. She was preceded in death by her parents, Alejandro and Petra Ruiz Chaparro, sister, Margarita Ruiz, brother, Manuel Ruiz. Survivors: sisters, Ventura Ruiz, of Ramseur, Esther Ruiz, of Mexico, Socorro Ruiz, of Mexico, Guadalupe Ruiz, of Mexico, brother, Moserrate Ruiz, of Mexico, and numerous nieces, nephews, and cousins. Visitation, 6 PM to 8 PM, Thursday, Loflin Funeral Home & Cremation Service, Ramseur. Memorials may be made to Conquer Cancer Foundation of the American Society of Clinical Oncology, 2318 Mill Rd. Suite 800, Alexandria, VA 22314.